× Submit your photos of you sleepy deerhound! Win a front page spot and become an overnight sensation! 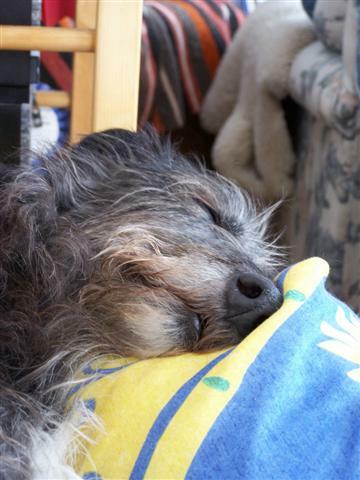 Teratyke created the topic: Sleepy Deerhound Photo Competition! Your pictures must relate to 'Sleepy Deerhound' you can interpret that however you like. The best picture wins a front page spot! Closing date yet to be decided (it depends when we have enough entries). I'm the judge unless I can rig up some sort of voting system. Post pictures in this forum, any problems just post a message and I'll see what I can do! Feel free to enter supporting information! 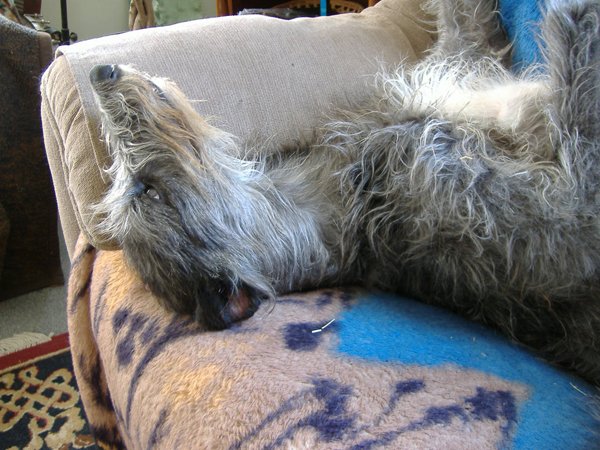 sally replied the topic: Re:Sleepy Deerhound Photo Competition! Hi Rob, This is my entry for the Sleepy Deerhound photo competition. Thanks Sally. Jane sleeping on the couch at two. 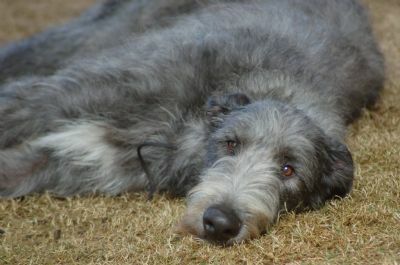 Bevd replied the topic: Re:Sleepy Deerhound Photo Competition! 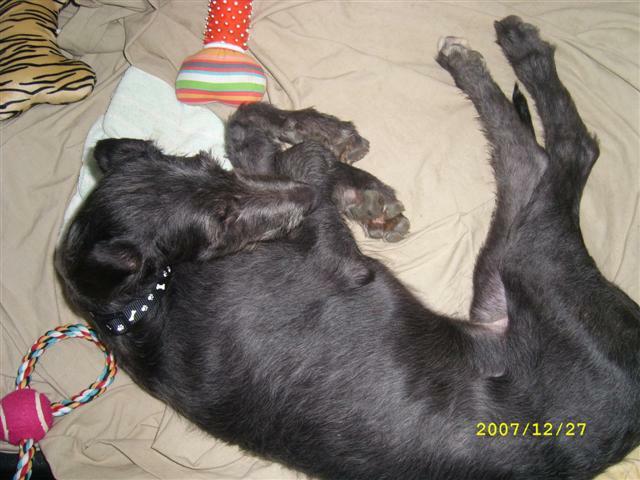 Fyrth replied the topic: Re:Sleepy Deerhound Photo Competition! My Scrappy as a puppy in the assembly area at Sydney Royal Show - dog shows are just such hard work! Last Edit: 10 years 10 months ago by Fyrth. 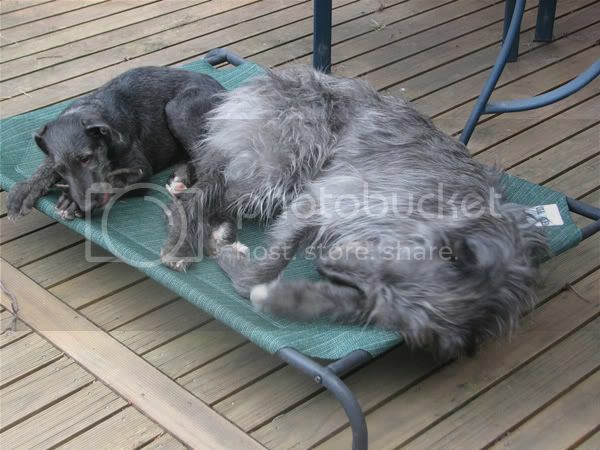 Brollachan replied the topic: Re:Sleepy Deerhound Photo Competition! 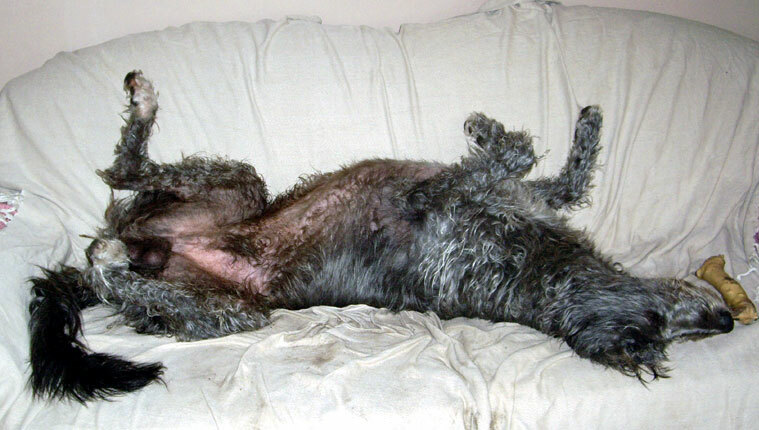 cuneve replied the topic: Re:Sleepy Deerhound Photo Competition! Mother Henna loves her daughter Jane. 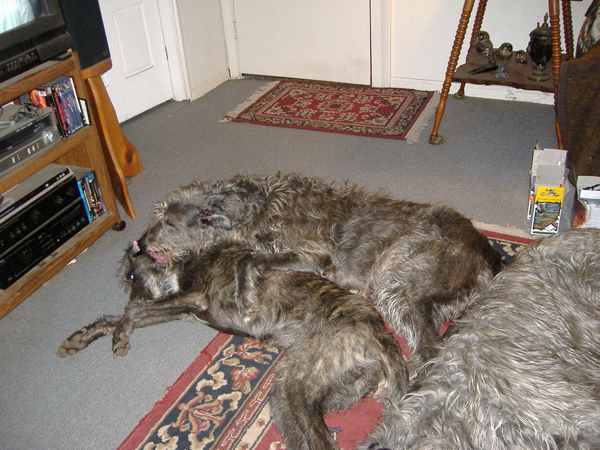 Clunie replied the topic: Re:Sleepy Deerhound Photo Competition! Here's one of Clunie as a little pup - and it wasn't posed! She went very quiet one afternoon and I discovered her asleep in the washing basket! Robb replied the topic: Re:Sleepy Deerhound Photo Competition! ribu replied the topic: Re:Sleepy Deerhound Photo Competition! 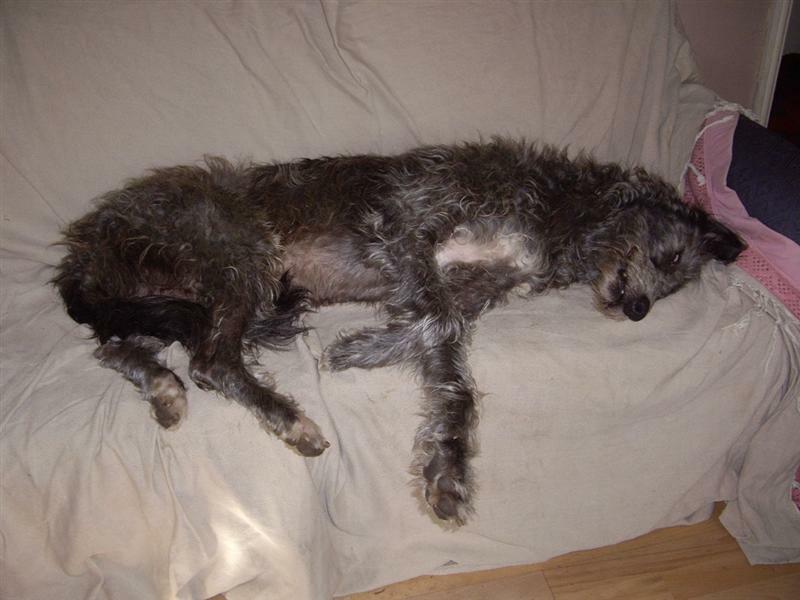 Lurch8252 replied the topic: Re:Sleepy Deerhound Photo Competition! 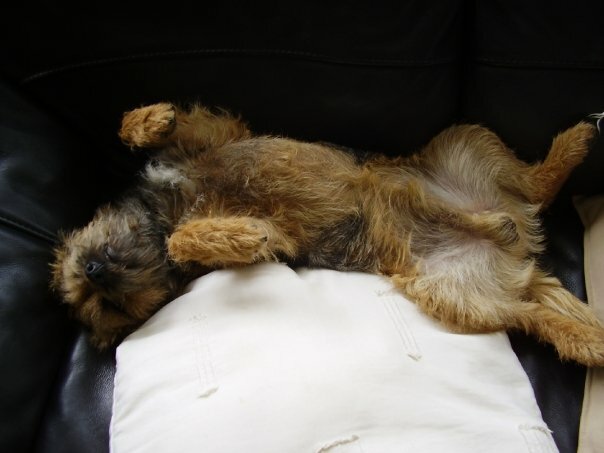 though I do have a nice picture of a Border Terrier having a kip! He thinks he's a Deerhound, can't we pretend he is one!! Paddy replied the topic: Re:Sleepy Deerhound Photo Competition! Who said Deerhounds were dignified! Last Edit: 10 years 9 months ago by Robb. 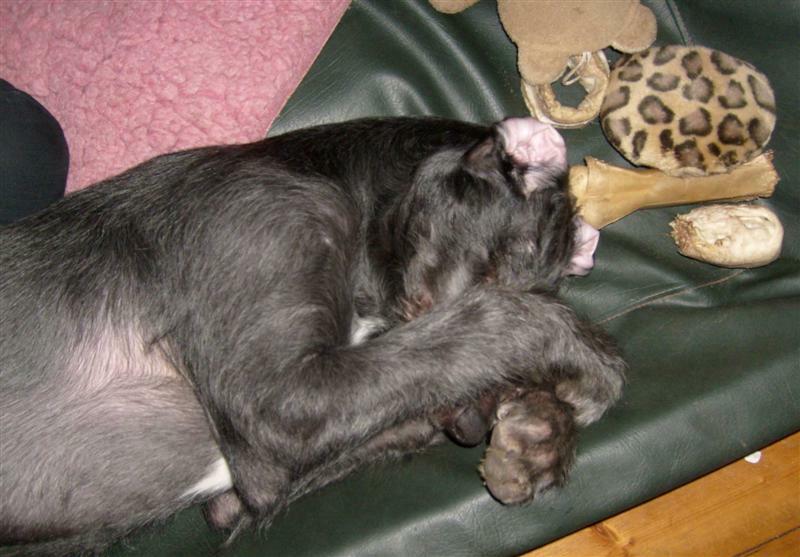 Pia replied the topic: Re:Sleepy Deerhound Photo Competition! 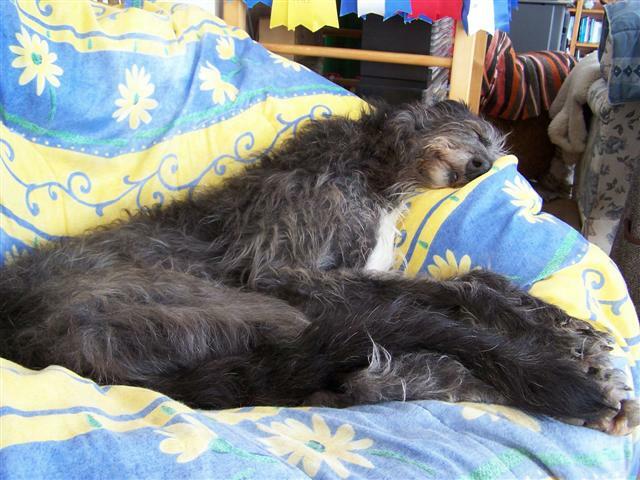 verenav replied the topic: Re:Sleepy Deerhound Photo Competition! I also wanted to send 2 pics for the sleepy deerhound competition - showing " Disa " , one of my 4 deergirls in a very relaxed state Hope you like it . Love the other photos submitted , dhs are great sleepers !! This is the 2nd , more deailed pic of my sleeping beauty disa . 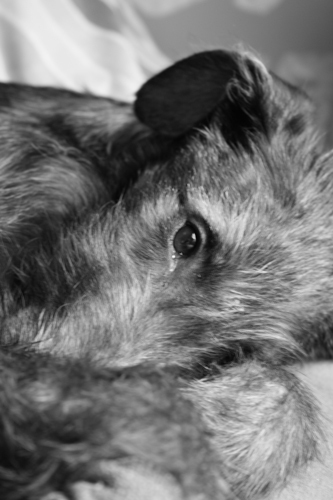 Ardneish replied the topic: Re:Sleepy Deerhound Photo Competition! What an amazing breed and how lucky we all are to share our lives with them. del replied the topic: Re:Sleepy Deerhound Photo Competition!